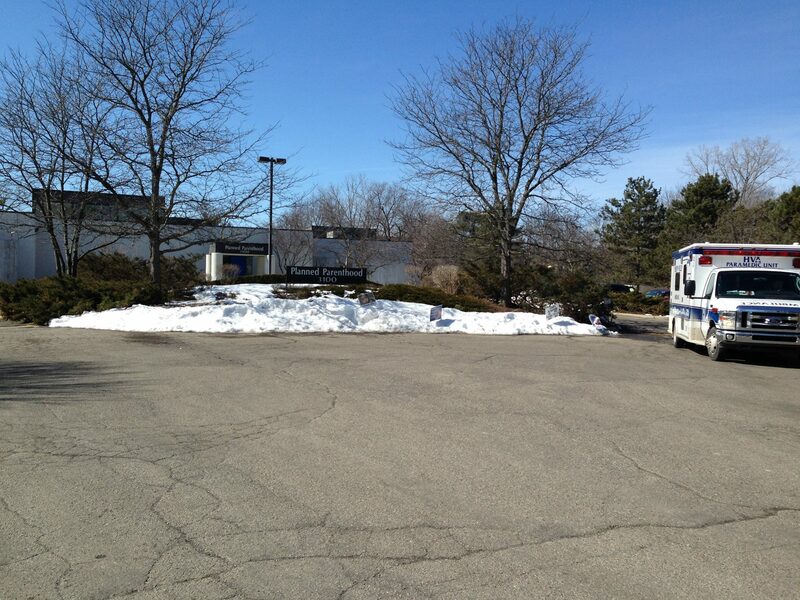 A Facebook post from 40 days for Life in Ann Arbor, Michigan shows an ambulance leaving Planned Parenthood. When you put that Planned Parenthood into google, Dr. Laura Castleman’s name comes up, a clock on her name takes you to that Planned Parenthood cite. 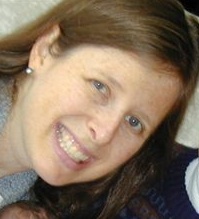 According to the website AbortionDocs.com, Castleman wrote a training manual on abortion. In 2014, the abortion doctor sat on the advisory group of the Women’s Health Advocacy Group of the American Congress of Obstetrics and Gynecologists. In 2015, Operation Rescue has documented 14 medical emergencies at abortion clinics around the nation. 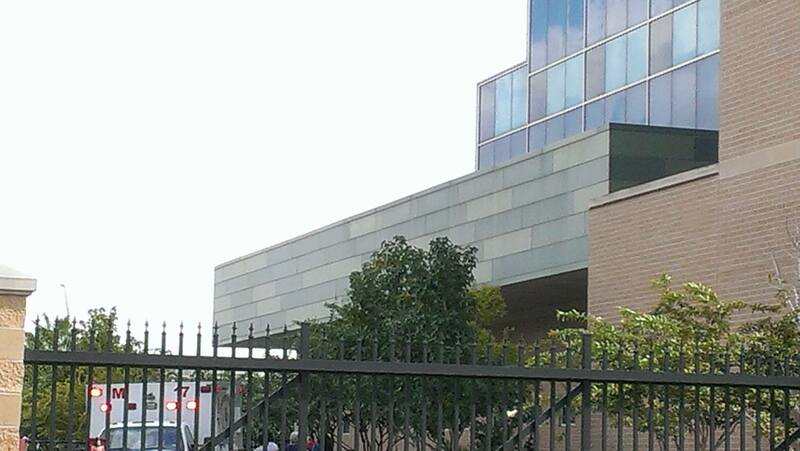 Here is another from Planned Parenthood in Houston: read their analysis here. 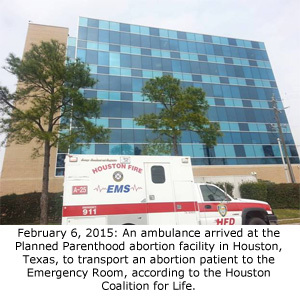 At the Houston Planned Parenthood, activists with the Houston Coalition for Life have witnessed four medical emergencies in less than 30 days, including the February 6th incident. Other medical emergencies there took place on January 31, February 25, and February 26, 2015. Operation Rescue has documentation of eight medical emergencies in all at this Planned Parenthood in the past two years. ATTENTION! Another Ambulance carried a person out from Planned Parenthood today (February 28th) This is the 3rd one seen this calendar week and the 5th in 30 Days. We will be posting picture and more updates Monday. Please pray that anyone who is unfortunate enough to enter that place of horror also exits without being harmed – unborn baby included. Note to Workers: that offer of help you leave the abortion industry still exists: ATTWN.org! You don’t have to work at a place like this. 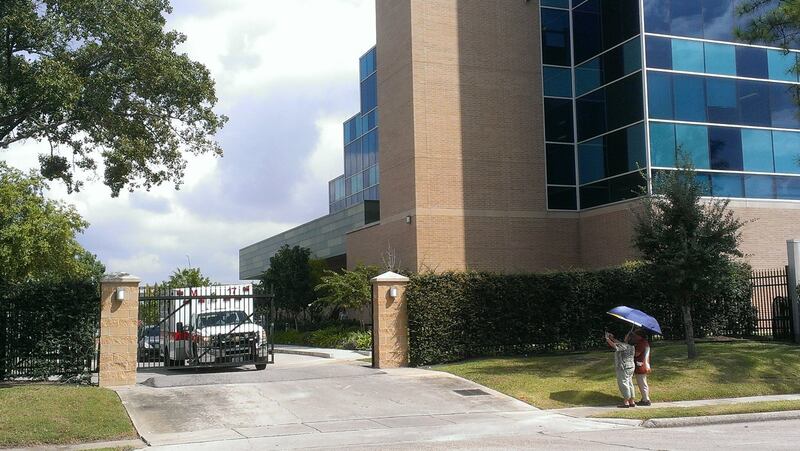 An ambulance has responded to an abortion clinic in Illinois after a botched procedure. 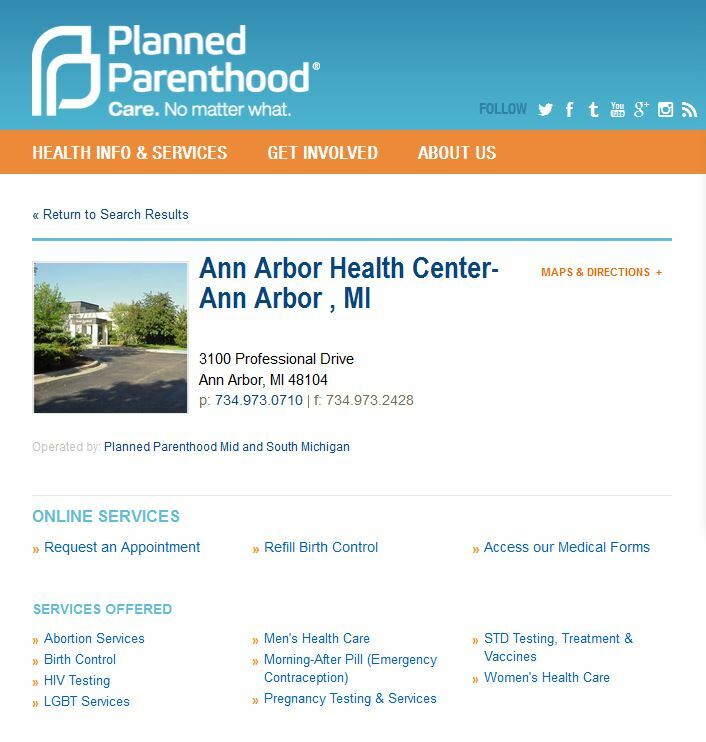 According to Pro-life Action League, which regularly counsels outside the Aurora Planned Parenthood in Chicago the botched abortion occurred on October 25, 2014. The Pro-Life Action League obtained the audio of the 911 call through a Freedom of Information Act (FOIA) request. On the tape, you can hear the Planned Parenthood staffer request an ambulance for a patient who is hemorrhaging after an abortion procedure. 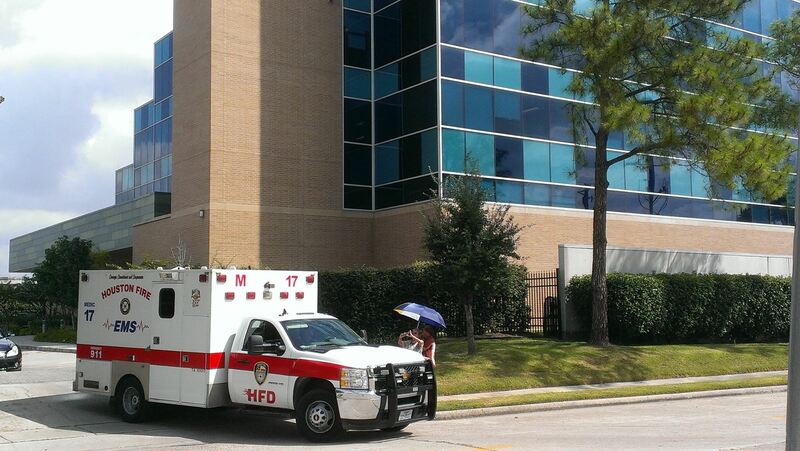 Planned Parenthood then instructs the dispatcher to send the ambulance to their back entrance. 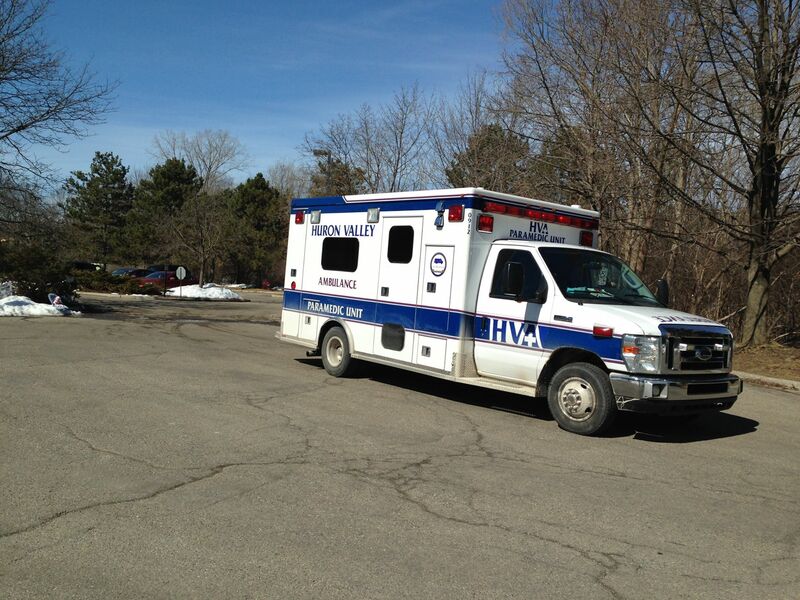 Earlier this year, another ambulance appeared at the Aurora Planned Parenthood facility. 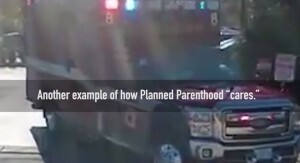 Pro-life activists on site captured this January 18, 2014 incident on video and audio recordings of the 911 call and radio dispatch communications were later obtained. Calls to this Planned Parenthood are not uncommon as has been documented before. 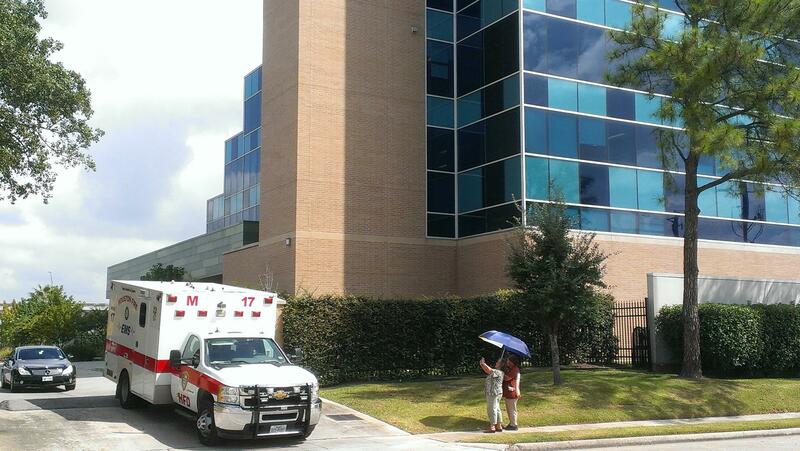 On September 30, 2014, Houston Coalition for Life posted images of an ambulance outside the Houston Planned Parenthood abortion clinic mega center which had to wait as their gate slowly opened. The ambulance arrived with sirens and lights. 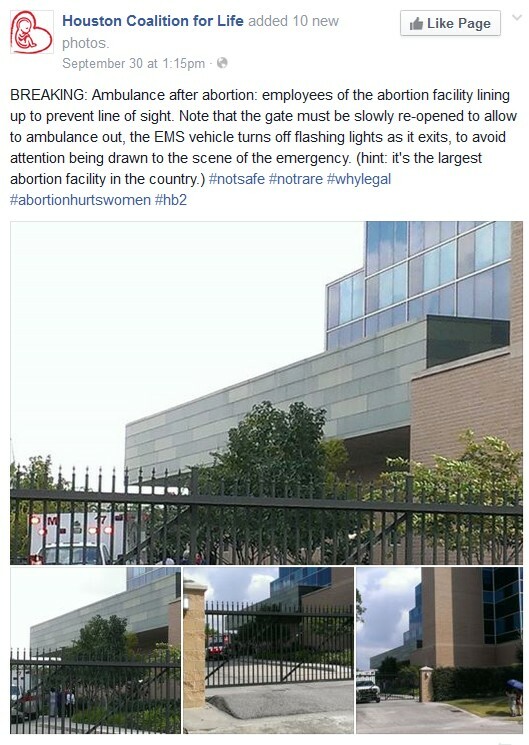 Pro-lifers observed that the employees of the abortion facility did not open the gate for the emergency vehicle until it arrived. Is that putting women’s lives at risk? 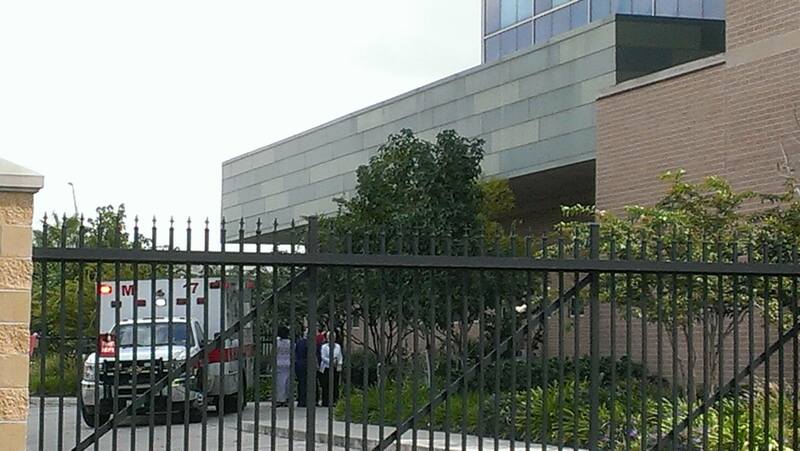 According to the group, the ambulance arrived with lights flashing, employees standing, and the gate was closed. Then employees of the abortion facility lined up to prevent sight of the patient, who was carried out on a stretcher, under a white cloth. 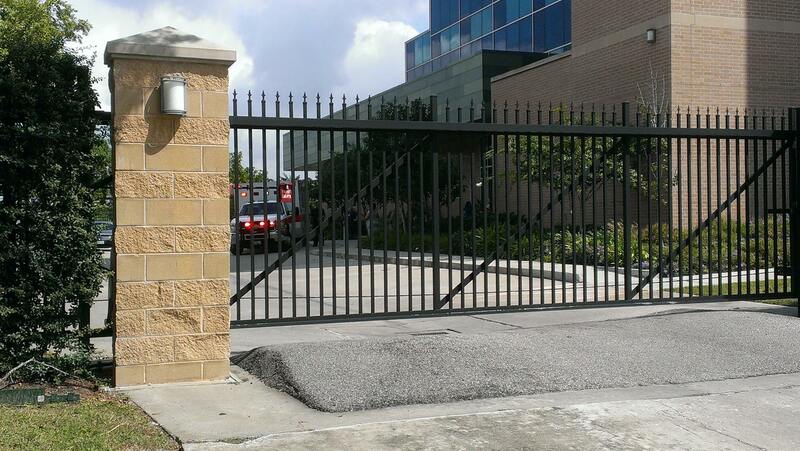 As they watched it unfold – they wondered if this is an emergency and if the EMS vehicle needs to leave, why is the gate still closed? Pro-lifers outside the Planned Parenthood noted that as the patient is loaded and the ambulance heads out the gate slowly opens… isn’t this an emergency? One more observation was mentioned regarding the lights and sirens of the emergency vehicle, “as EMS vehicle #17 leaves, note that the lights are no longer flashing as in previous pictures. This is to keep attention from being drawn to the scene of the emergency,” the group wrote. Was this an emergency? Why did the ambulance arrive with sirens – was slowed down by the unopened gate – slowed down again by the closed gate – and then left with no sirens or lights? It is possible that first responders decided that this was not an emergency and therefore did not use their lights or sirens. But, we may never know those answers. What we do know is that emergencies after abortions are not new, in fact, women are often injured and even killed from legal abortion. Having an abortion inside a Planned Parenthood mega center will not insulate women from the many complications that arise from killing their child. Something – most likely- Planed Parenthood won’t tell them.